The HKGeology gives a simplified account of the geology of Hong Kong and is a useful reference tool in field, which will help teachers, students, members of the public and geotechnical practitioners. Since the establishment of Hong Kong as a British Colony on 29th August, 1842, numerous individuals have contributed to the geological surveying of Hong Kong. The first territory-wide geological surveys and accounts began in the early 20th century, leading to the establishment of the Hong Kong Geological Survey in 1982. 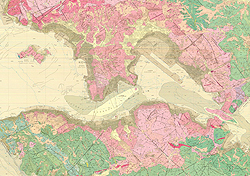 A range of geological maps is now available for Hong Kong, which provide useful information for urban planning, locating resources, and identifying geohazards. The earliest known description of the geology of Hong Kong was by T.W. 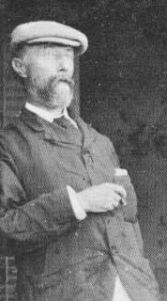 Kingsmill who wrote three articles in the 1860s. Hong Kong, along with other parts of the South China coast, was said to comprise low hills made of granite, slate, quartz rock and porphyries. In 1869, Baron Von Richthofen (Figure 1), a renowned explorer in China, described three main geological successions from Hong Kong: older Sedimentaries, Intrusions of granite, and Quartz Porphyries and its tufas. In 1880, H.B. Guppy (Figure 2), a surgeon on HMS Hornet, spent six days walking over Hong Kong Island. He recognised granite, trap and syenite, and remarked on the corestones on eroded granite terrain with an absence of corestones on the porphyritic rocks. From these observations he made the first geological map of the Island, which used to hang in the City Hall, and later in the University of Hong Kong. 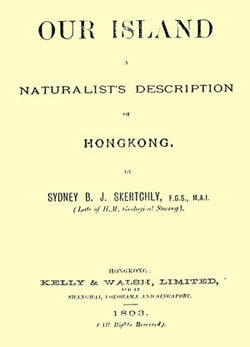 In his 1893 book, “Our Island – A Naturalist's Description of Hong Kong” (Figure 3) (at that time, Hong Kong consisted only of Hong Kong Island, a portion of the Kowloon Peninsula south of Boundary Street, and Stonecutter's Island), S.B.J. Skertchly recognized that granite and volcanic rocks, including feldspathic quartz porphyry, formed Hong Kong Island. Significantly, Skertchly noted that the composition of the volcanic rock was very similar to the granite, surmising that the two must have shared a common magmatic origin. He noted the iron-rich nature of the granites, described kaolin clay derived from decomposed granite, and was the first to describe mafic dykes on Hong Kong Island. Following the signing of a 99-year lease on the New Territories, J.H.S. Lockhart evaluated the area for the British Colonial Office, producing a report on the “Extension of the Colony of Hong Kong” in 1898, extracts of which were laid before the Legislative Council in 1899. A “Report on the Geology of the New Territory” by R.D. Ormsby, the Director of Public Works, was contained in a two-page appendix. Ormsby wrote that the geology of the New Territory was simple, with granitic, trappean, and metamorphic rocks predominating. The report also noted that there was evidence, in places, of volcanic action, that the lower hills had a laterite cover, and that mining occurred in several areas. In a 1914 paper in the Transactions of the American Institute of Mining Engineers, C.M. Weld summarised the geology of Hong Kong as consisting chiefly of granite, with schists and slates in the northwest, and basalt and quartz-porphyry in the southeast, particularly noting the baked sedimentary inclusions in the granite. Weld was mainly concerned with minerals, and recorded the occurrence of gold, silver, lead, zinc, copper, molybdenum, and tin, concentrating on the Ma On Shan skarn magnetite deposit. In 1921, F.R.C. Reed gave a one page (p. 348) account of the geology of Hong Kong in his book entitled the “Geology of the British Empire”, describing the Colony as “a fragment of an ancient plateau ......... consisting mainly of granite, serpentine and syenite”. He also noted the parallel northeast to southwest structures, as indicated by the “mountain-lines” with intervening valleys, and the orthogonal northwest structures as indicated by the bays. In 1923, F.R. Tegengren wrote an article titled “Iron Ores and the Iron Industry of China”, recounting Weld's description of the Ma On Shan deposit, and estimating a reserve of 910,000 tonnes, workable by open quarrying. 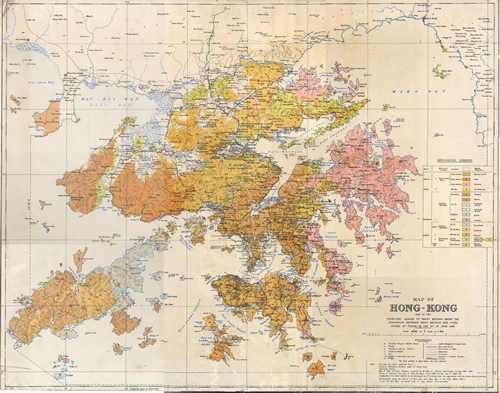 W. Schofield, a District Officer in the Hong Kong Government, mapped two square miles of northwestern Hong Kong Island. In his 1924 paper to the Liverpool Geological Association, he recognised a four-fold stratigraphical succession, traversed by basaltic dykes. Schofield's long report on the geology of Hong Kong, written in 1930, was lost during the Japanese occupation. 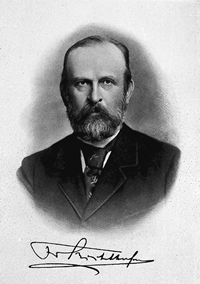 Figure 1: Baron Von Richthofen. Figure 3: "Our Island - A Naturalist's Description of Hong Kong". Geological mapping in the early 1900s was mainly driven by mineral exploration, leading to the opening of mines at Ma On Shan and Lin Ma Hang. However, in 1920, C.M. Heanley, Head of the Government Vaccine and Bacteriological Department, and an amateur geologist who covered most of the Colony, discovered an ammonite fossil (Figure 4) in sedimentary rocks exposed on the northern shore of the Tolo Channel. These fossils were examined and identified firstly by A.W. Grabau and later by S.S. Buckman. The ammonite was finally named as "Hongkongites hongkongensis Grabau". This was the first discovery of Mesozoic fossils in southeast Asia. This important find indicated that the rocks in the Tolo Channel were of Jurassic age, and not Pre-Cambrian or Early Palaeozoic as believed by earlier workers. Heanley proposed a nine-fold stratigraphical succession, and produced geological maps in 1923 and 1924. These provided the basis for the geological map of 1936, produced by the first geological survey. Graphite seams on West Brother Island, as well as occurrences of beryl, wolframite, molybdenite, cassiterite and galena were also recorded. 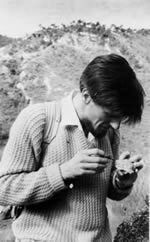 In the 1970's and 1980's, several geologists, most notably C M Lee, M J Atherton and P S Nau, made important fossil discoveries in Hong Kong. These discoveries led to improvements in understanding of the stratigraphy of Hong Kong. Most of these findings were published in the newsletters of the Geological Society of Hong Kong. One of the most significant finds was the discovery of Devonian fish fossils (placoderms) in the Plover Cove area by Mr. C.M. Lee in 1980 (Figure 5). The discovery of Devonican fossils was the first in Hong Kong, and established the age of the enclosing rocks to be about 400 million years old. 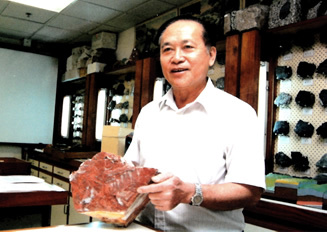 A collaborative research effort between the Hong Kong Polytechnic (now the Polytechnic University of Hong Kong) and the Nanjing Institute of Geology and Palaeontology, was carried out between 1988 and 1990. Known as the “Stratigraphy of Hong Kong” project, the study lasted for 15 months and formed the basis of two special volumes on the stratigraphy of Hong Kong that were published by the Nanjing Institute of Geology and Palaeontology in 1997 and 1998. These two volumes (Lee et al. 1997, 1998) serve as important reference documents on the stratigraphy of Hong Kong, and also provide the most comprehensive account of the palaeontology of Hong Kong to date. 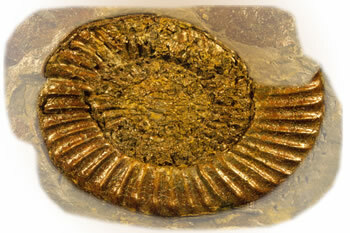 Figure 4: An ammonite fossil. Figure 5: Mr. C.M. Lee. On the advice of the British Government, R.W. Brock (Figure 6), Head of the Geography Department at the University of British Columbia, and formerly Director of the Geological Survey of Canada and Deputy Minister of Mines, was asked to direct a detailed geological survey of Hong Kong for the government of the Colony. 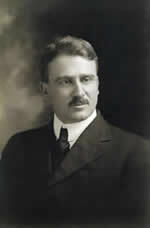 In 1923, R.W. Brock carried out a reconnaissance and made arrangements for the main survey. As well as R.W. 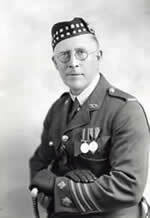 Brock (1926-1927), three other geologists from UBC came out at different times, S.J. Schofield (Figure 7) (1923-1924), M.Y. Williams (1924-1925), and W.L. Uglow (1925-1926). A new topographical map, released in 1932, differed substantially from the original base map, so Brock carried out further fieldwork in 1932-1933 to address the discrepancies. The geological map, at a scale of 1:84,480, was finally published in 1936, and reprinted at 1:80,000 scale in 1945 for military purposes. 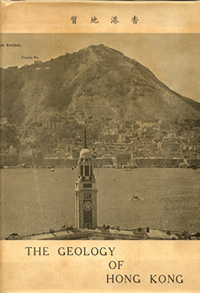 Following the deaths of Uglow in 1926 and Brock in 1935, Williams and Schofield completed the geological report, which was sent out to Hong Kong in 1939. Unfortunately, the report and maps were lost during the war. However, Williams, by then a professor at UBC, published some accounts of the stratigraphy and palaeontology of Hong Kong in the Proceedings of the Royal Society of Canada in 1943 and 1945. Following the war, the Hong Kong Government requested a copy of the report, but no copies had been kept. Consequently, Williams compiled a second version, which was sent to Hong Kong in 1948. In 1952, S.G. Davis (Figure 8), Head of Geography at the University of Hong Kong, published “The Geology of Hong Kong” (Figure 9), which was based largely on the work of the Canadian geologists, supplemented by his own field observations. Davis was a minerals geologist who took a keen interest in mining operations at Lin Ma Hang, Needle Hill, and Ma On Shan. S.G. Davis' work was later developed by B.P. Ruxton, a lecturer in the Department of Geography and Geology at the University of Hong Kong, who published detailed studies on the economic geology of Hong Kong. He also published his own account of the geology of Hong Kong in the Proceedings of the Geological Society of London in 1960. Between January 1967 and March 1969, E.A. 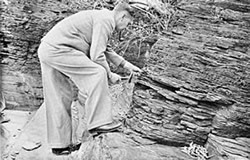 Stephens and P.M. Allen, two geologists from the British Geological Survey (formerly the Institute of Geological Sciences) carried out a geological survey of Hong Kong. Although the terms of reference for the survey was to revise the 1936 map, a complete remapping was eventually undertaken. The survey culminated in the publication of two 1:50,000-scale geological maps of the Territory, and an accompanying memoir, in 1971. 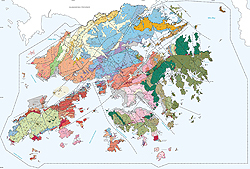 The Hong Kong Geological Survey (HKGS) was created on the 5th May 1982, to compile 1:20,000 scale geological maps of the Territory, and to provide geological advice and factual information to professional organisations, government agencies, educational bodies, and learned societies. Initially staffed by two geological mapping consultants from the British Geological Survey, the HKGS was expanded to include other overseas and locally trained mapping geologists. 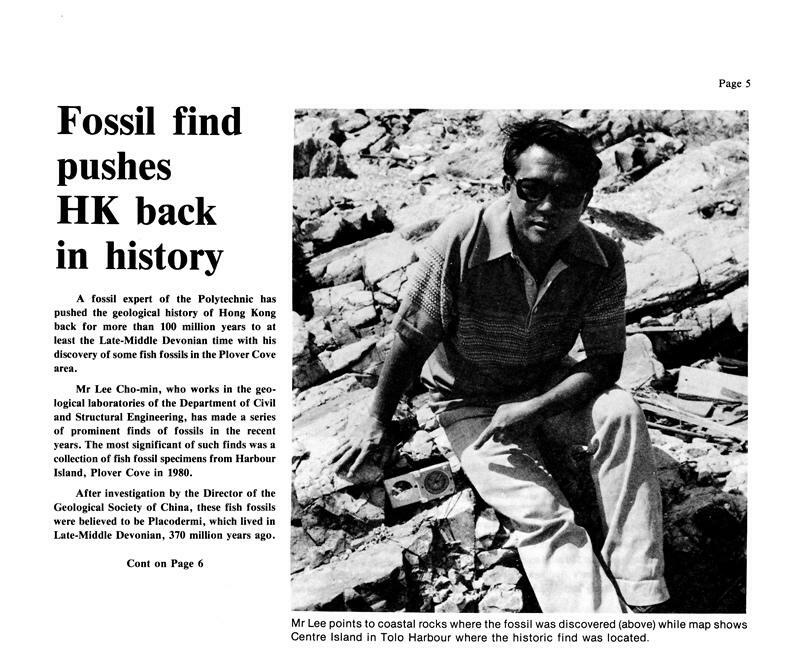 By 1984, the HKGS comprised five mapping geologists and six technical and support staff. During the Airport Core Projects of the early 1990s, the HKGS reached a maximum of seven geologists, six technical and support personnel, and a cartographic team. This period saw an expansion of HKGS activities to include projects such as 1:5,000-scale mapping of six key development areas, and the search for offshore sources of reclamation fill. The final 1:20,000-scale geological map, of fifteen maps, and memoir, of six memoirs, were published in 1996. By then, HKGS activities incorporated geological mapping of major landslides, tunnel geology, regional geochemical surveys, concrete petrography, a geological advisory service, and geological input into land use planning. In 2000, a set of 1:100,000-scale thematic maps of the solid and superficial geology were published, accompanied by two memoirs (Figure 11). These two memoirs synthesised the geological information from all previous publications. Updating of the 1:20,000-scale geological maps, in digital form, began in 2003. In association, the HKGS is developing a comprehensive suite of geological datasets implemented on a GIS platform. Over the years, members of the HKGS have produced numerous specialist geological reports and research papers on a diverse range of topics. 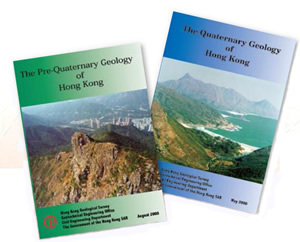 Figure 11: "The Pre-Quaternary Geology of Hong Kong" and "The Quaternary Geology of Hong Kong" published in 2000. Figure 6: R.W. Brock (Photo courtesy of the University of British Columbia, Canada). Figure 7: S.J. Schofield (Photo courtesy of the University of British Columbia, Canada). Figure 8: S.G. Davis in the field. Figure 9: "The Geology of Hong Kong". (Photo courtesy of P.M. Allen). The first geological map of Hong Kong, published in 1936 at scale of 1:84,480 (Figure 12), showed the main distribution of igneous (volcanic and plutonic), and sedimentary rock groups, as well as the superficial deposits. There was no portrayal of faults, folds, or other geological structures. geological map of Hong Kong published in 1936. 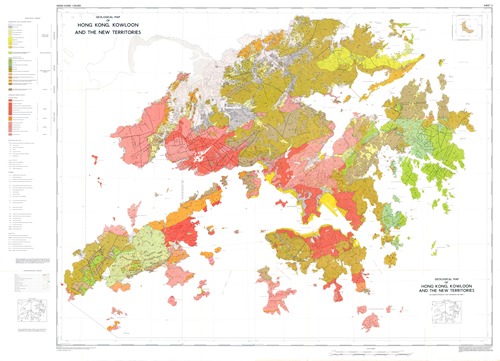 The second geological map of Hong Kong, published in 1971 as two 1:50,000-scale map sheets (Figure 13), was considerably more detailed than the earlier map. In addition to showing major divisions among the volcanic, plutonic, and sedimentary rocks, the Quaternary superficial units were subdivided. Major geological structures, such as fold, faults, dykes and veins were also distinguished. Importantly, structural measurements, such as strike and dip of bedding and rock joints, were also shown. geological map of Hong Kong published in 1971. A third geological map of Hong Kong, comprising a set of fifteen 1:20,000-scale solid and superficial maps, emphasised further refinements to the volcanic stratigraphy and intrusion history. In particular, the map sheets included cross-sections for the first time, and showed the grain size distribution of the different intrusive units. Considerably more structural information was portrayed and the maps were also bilingual. (Hong Kong Geological Survey map Sheet 11 published in 1986). geological map of Hong Kong published in 2000. The 1:100,000-scale geological map, published in 2000, showed detailed subdivision of the volcanic stratigraphy and plutonic history, including naming of suites and plutons, volcanic groups and formations. Subcrops of marble-bearing rocks were depicted along with the offshore continuation of major faults. A small-scale regional geological map was also included on the map face. The updating 1:20,000-scale geological maps, commenced in 2003, is prepared on a Geographic Information System. Figure 16 is a Shaded Relief Map of Hong Kong. It is a visual derivative of the Digital Elevation Model (DEM) that is based on elevation data extracted from the topographical survey maps provided by the Lands Department of the Hong Kong SAR Government. The Shaded Relief Map helps users to visualise three-dimensional topography. Linear features revealed on the Shaded Relief Map could represent a variety of phenomena, such as drainage lines, geological structures (faults, joints, etc. ), stratigraphical layering, and boundaries between different rock units. Also, the Shaded Relief Map is a useful tool in geological mapping, for distinguishing and delineating geological structures, and for terrain evaluation. 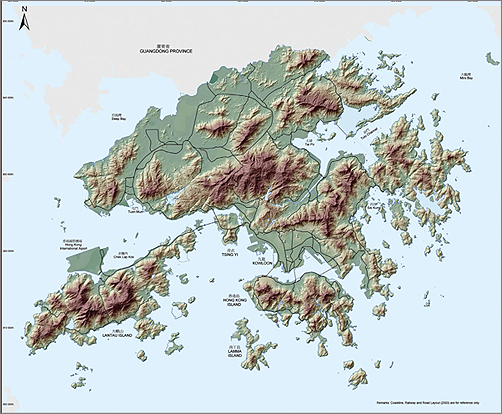 Figure 16: Shaded Relief Map of Hong Kong. Marine magnetic surveys have been undertaken over nearly all of Hong Kong's waters. The surveys have helped to establish the solid geology for the offshore areas, and in particular the location of faults. The observed magnetic field is mainly dependant on variations in the magnetic susceptibility of the different bedrock types, remanent magnetism imparted to the rocks at the time of formation, and the degree of weathering. Modelling of the magnetic fields includes reference to the known geology from borehole and onshore information, which helps to define the orientations, shapes and rock types of the magnetic sources. 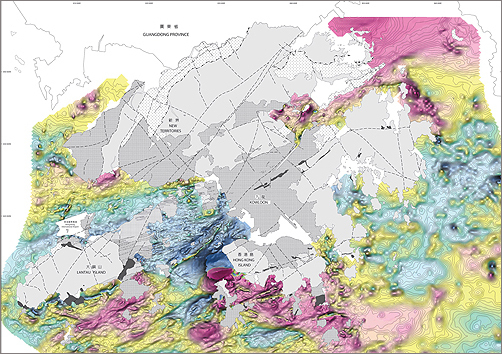 The magnetic anomaly map for the offshore area of Hong Kong is reproduced in Figure 17. Figure 17: Magnetic Anomaly Map of Hong Kong.